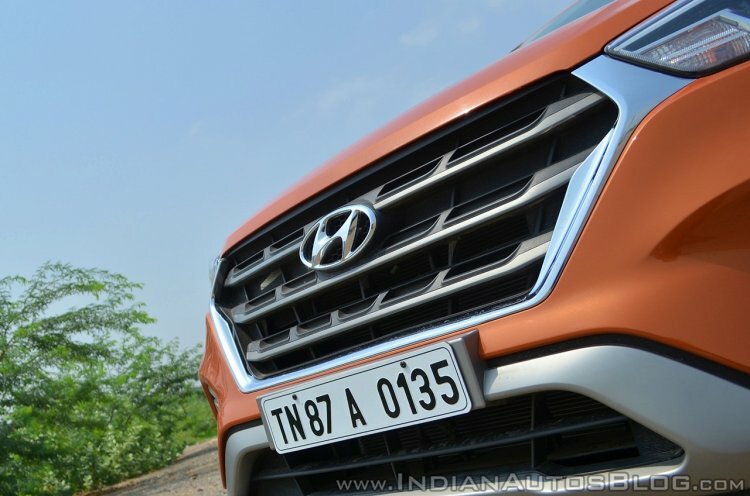 Recently, prices (ex-showroom, Bangalore) of the 2019 Hyundai Creta were revealed in a leaked document. Going by this revised price list, the top-selling SUV (monthly sales average from July-Dec 2018 - 10,138 units) will now cost INR 9,60,150-15,58,214, thereby leading to an increment of roughly INR 10,000 in the cost of the entry-level model. A walkaround video details the E Plus version of the revised SUV. The updated model has received a handful of additional safety features, including reverse parking sensors, front passenger seatbelt reminder (SBR), and speed alert system. The company has even standardised the availability of eco-coating technology on the aircon units of all the variants. It may be noted here that the company had already been offering ABS and dual front airbags as standard fitments across all the trim levels. There are no visual changes to speak of. Until now, the Hyundai Creta, which received its mid-cycle facelift in May 2018, has been available in 6 grades - E, E+, S, SX, SX Dual Tone and SX (O). With the advent of the MY2019 model, the small SUV will receive an additional trim in the form of the top-spec SX (O) Executive option. Compared to the SX (O), the new top-of-the-line model comes with an extra feature in the form of ventilated front seats. Additionally, the SX, SX Dual Tone, SX (O) and SX (O) Executive grades will feature LED tail lamps, while the E, E+ and S trims will be sold with semi-cloth seat covers. It's noteworthy that till now, the S version has been available with full-cloth upholstery. With 120,905 units sold in 2018, the Hyundai Creta featured at the ninth spot of the list of 20 best-selling cars in India. The specifications remain untouched. The Hyundai Creta has been available with two diesel engines and a petrol motor. The base oil-burner displaces 1.4-litre and outputs 90 PS and 224 Nm. It comes mated to a 6-speed manual transmission. The 1.6-litre version churns out 128 PS and 265 Nm. Transmission options include a 6-speed manual and a 6-speed automatic unit. The single gasoline motor on offer displaces 1.6-litre and produces 123 PS and 154 Nm. It is available with a 6-speed manual and a 6-speed automatic transmission.